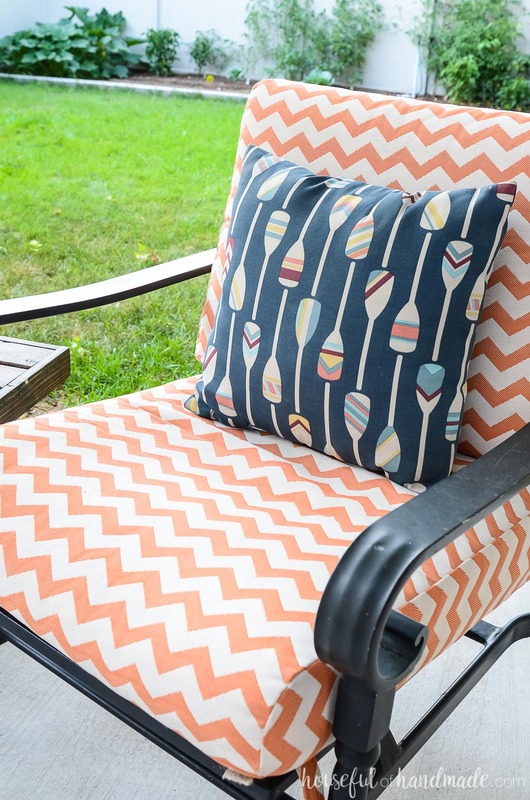 Decorate your outdoor living spaces so everyday is a vacation. 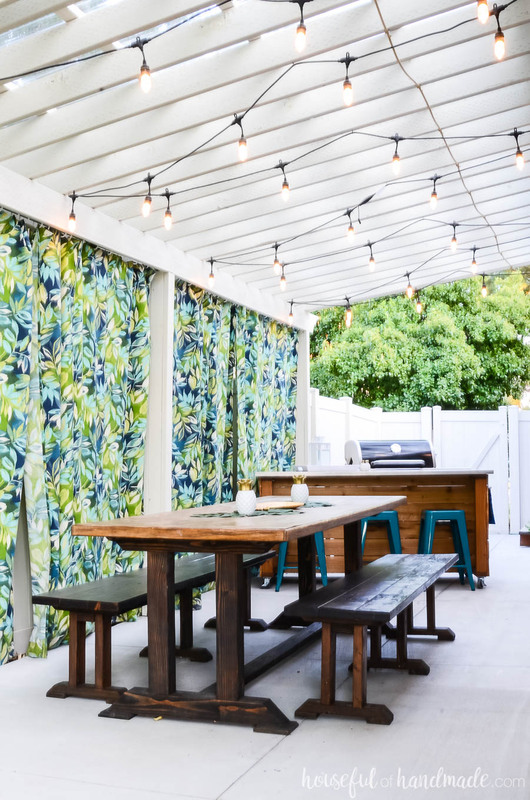 See how we created four different living spaces on our patio with lots of tropical decor. Today is the last week of the Room by Room summer tours. I hope you have enjoyed following along as I shared our Tropical Living Room Sumer tour, Blue & Green Boys Bedroom Ideas, and DIY Master Bathroom Retreat. And for today’s finally I am so excited to share one of our families favorite space: our island inspired outdoor living spaces! Visiting the Hawaiian islands is one of my favorite vacations. There is just something great about the perfect temperatures, salty sea air, and the indoor/outdoor living. Being able to open up your home to the outside and just flow from one space to the next is pretty much my idea of perfection. When creating our outdoor kitchen, dining, living and play areas I wanted to create that feel of indoor/outdoor living that I love on the islands. A place our family can enjoy the outdoors. And I think we have accomplished that! Last year we finally saved enough money to get a patio poured. Wow, that was a game changer for us because it tripled the amount of square footage we had outside. 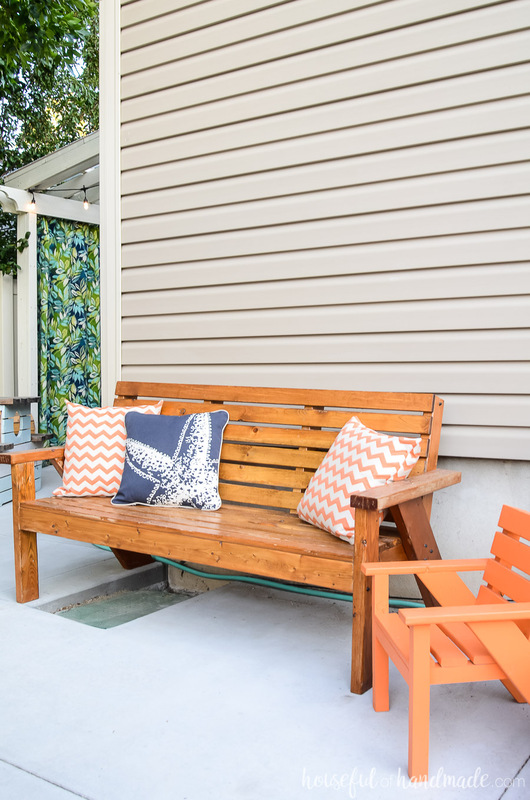 The unused side yard became this beautiful patio with a pergola attached to the house. 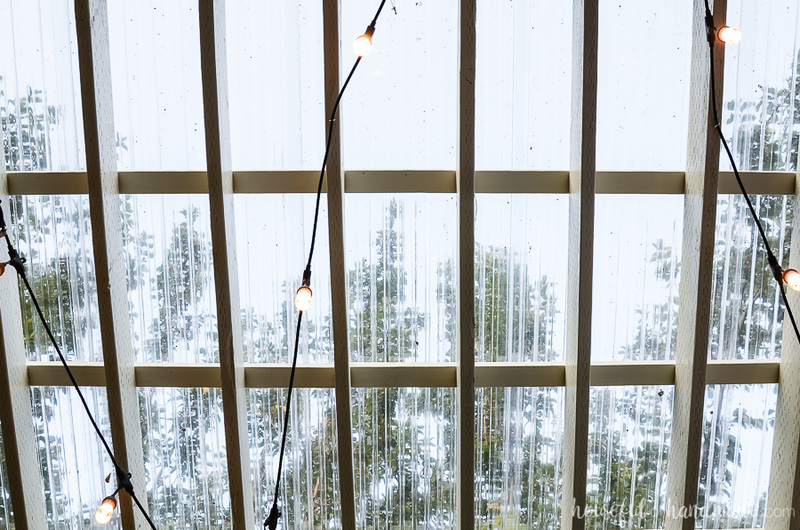 And because we don’t actually live in the islands (someday maybe…), we covered the pergola with a clear roofing material. Now we have all the light we love, but can still enjoy the patio when the weather isn’t perfect! We created 4 different zones in our patio area. Right outside the sliding doors to the house is our outdoor kitchen area. 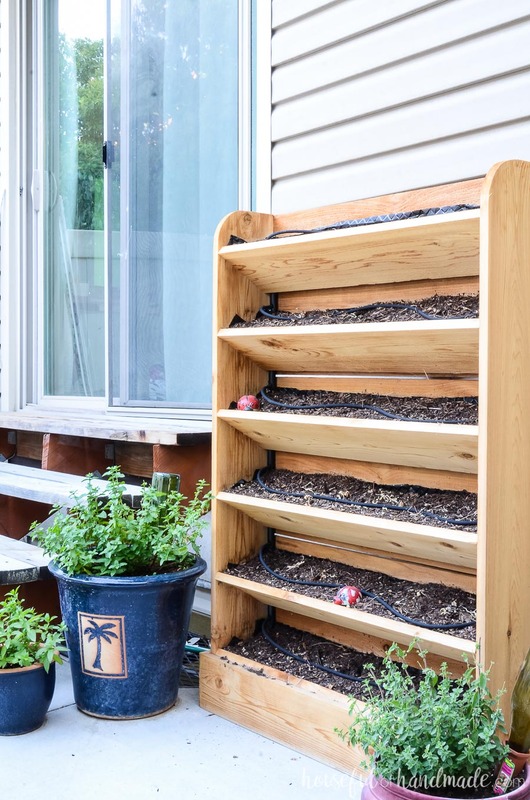 Sadly, the herbs in our vertical herb garden didn’t survive our 2 week vacation in July (I totally forgot to get a timer for the drip system, whoops). But after this crazy dry spell, I am going to load this thing back up with my favorite herbs and maybe some lettuces too. I love that it is in the outdoor kitchen and right outside our new gorgeous blue & white two tone kitchen. Our outdoor kitchen area isn’t too fancy. This year for our anniversary we gave ourselves a new grill. Combined with the outdoor kitchen island I built last year, we have the perfect place to cook outside. I also love using the island to serve food when we have large crowds. Of course, we utilized the outdoor island for more than just a cooking surface. The inside stores bins with all our outdoor kitchen and grilling items. It also holds a cooler so we can fill it with ice and keep things cold without having to go can inside. Then the other side is the perfect place to add some extra seating. The kids love to eat their lunch outside on the island, and I love that they are outside making messes and keeping the rest of the house a bit cleaner in the summer! Next to the kitchen area is the giant outdoor dining table I built. This thing is 8′ long and can seat so many people (are you seeing a theme to our outdoor spaces… we like to entertain). To maximize our seating, I built benches to go on either side of the table too. Now we really can pack in the people. But even better, we love to play games on this table late into the summer nights. The perfect indoor/outdoor living! Towards the back of the patio is the kids area. We are in the stage of life where the kids use the backyard the most so we wanted to make a space for them to play and just be kids. That is why we built the Outdoor Playhouse for Kids last year. It was a labor of love because it got really hot, really fast, but the kids love having their own fun space. They play out here all the time! 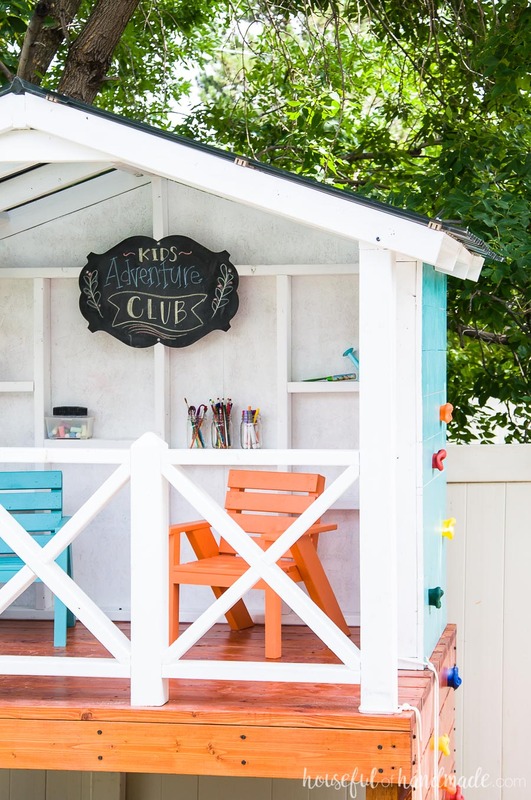 Next to the playhouse we have two more fun outdoor kids projects. The first was one of my first big builds, this nautical picnic table for bigger kids. I painted it to look like boat and it has given the kids so many days of play. The second is the fun DIY Treasure Chest Toy Box. 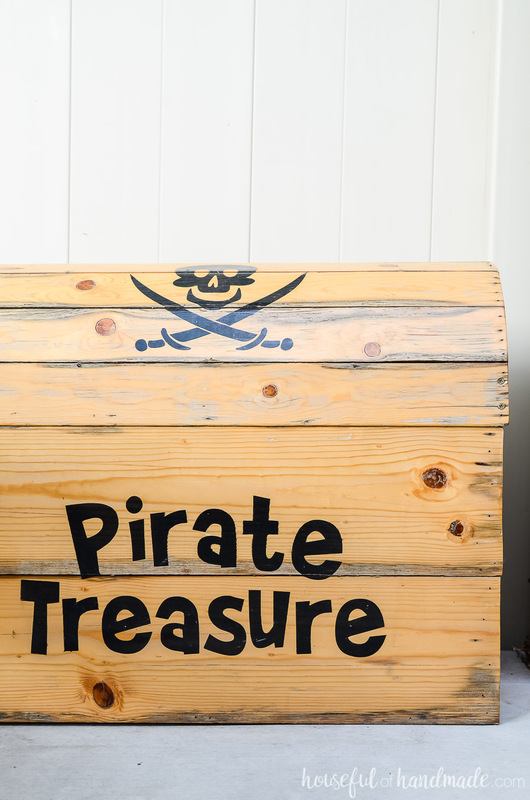 I built this for my son’s pirate themed birthday party and then it became the perfect outdoor toy box. What mom wouldn’t love a place to hide all those outdoor toys? And lastly, on the back of the house we have our sitting area. This is the perfect place for me to sit when the kids are outside. Or to rest when I have spent too much time in the garden and need a break. The kids can play or sit with me, and as the nights cool, we love to hang out here as a family. 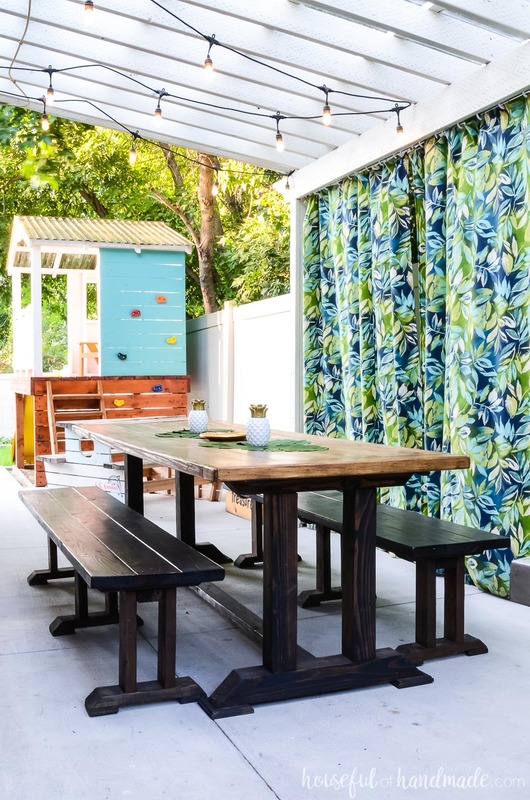 To really make these island inspired outdoor living spaces fun, we used a lot of color. You see a combination of blues, greens, oranges, and a hint of navy. 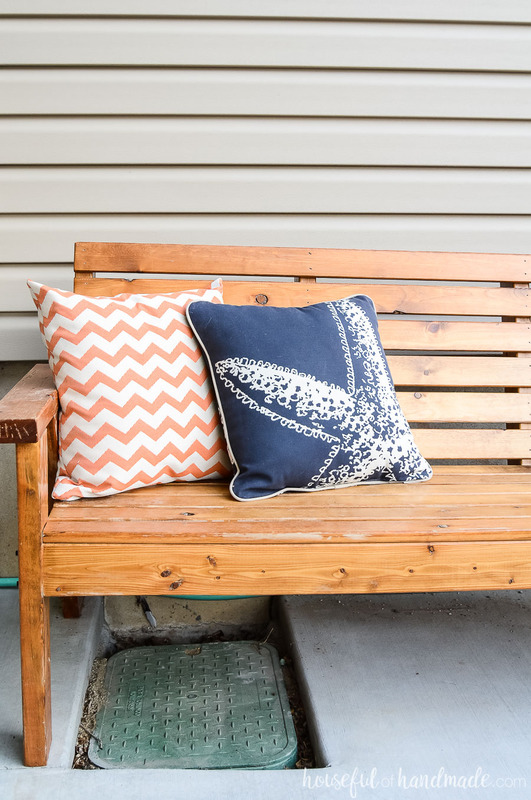 It was way too much fun finding tropical patio decor and even making some of our own, like these Easy Tropical Wall Art DIYs. And that is our complete outdoor space. It may not be big, but we packed in lots of outdoor living spaces. It has added over 1000 square feet of living space to our home. It’s a space the entire family can enjoy for years to come! 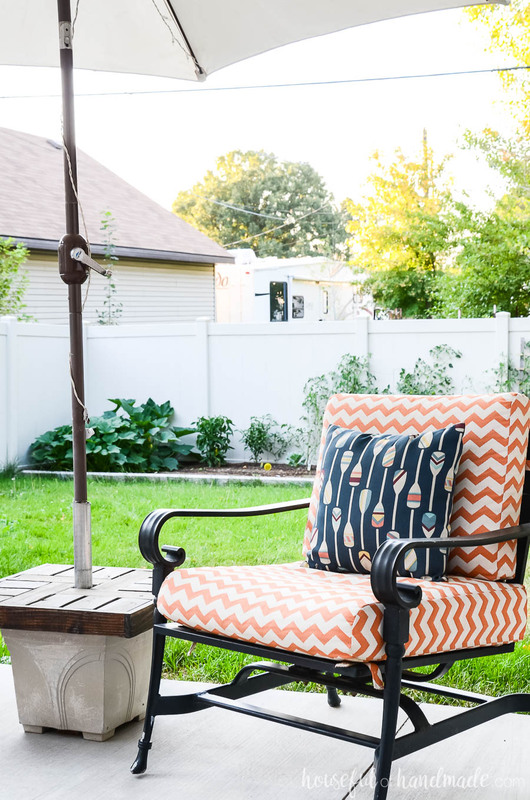 Want more outdoor living spaces inspiration? Check out the rest of the outdoor space tours below.